Cafe Piccolo Erko joined our Mission to help provide access to “Clean Water for All by 2030”. This Mission was initiated by the United Nations. A big thank you to Cafe Piccolo Erko’s team and customers for joining this extremely important mission on 08 February 2018. Great Coffee & All Day Breakfasts and Lunches! 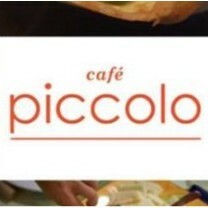 Cafe Piccolo is a small cafe in Erskineville where we primarily serve all day breakfast, lunch, great coffee and the occasional Italian dinner. We regularly team up with Groupon to provide our customers pasta classes combined with three course dinners. Our coffee always comes with a smile!